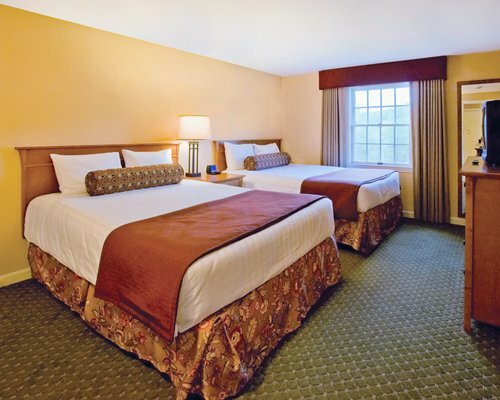 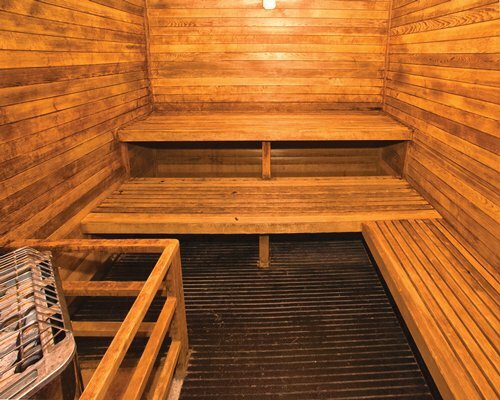 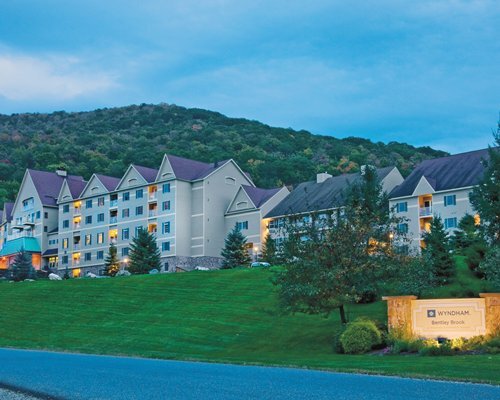 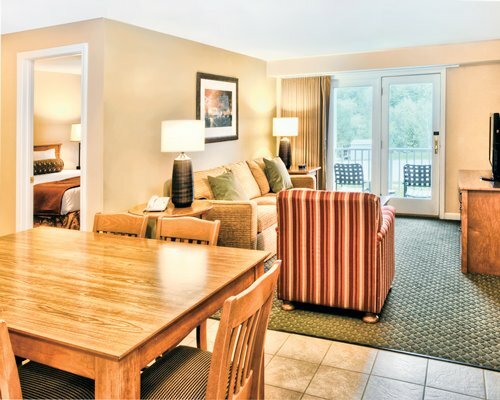 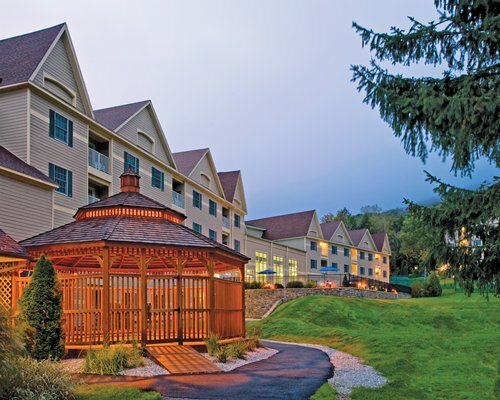 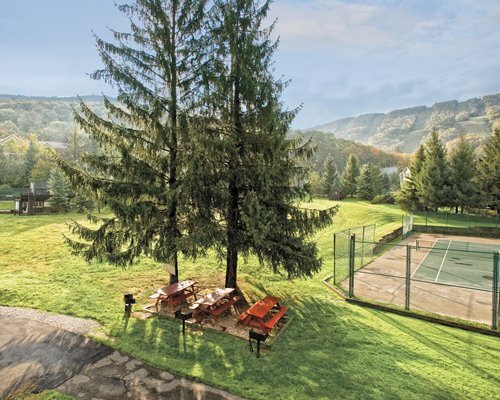 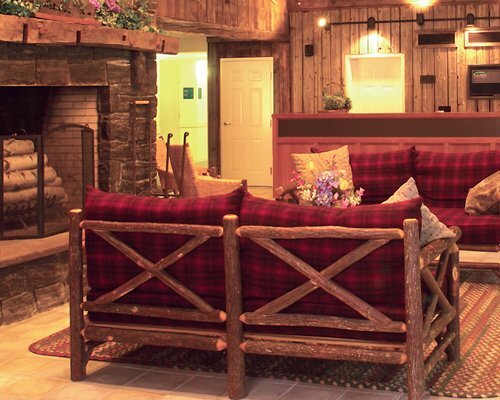 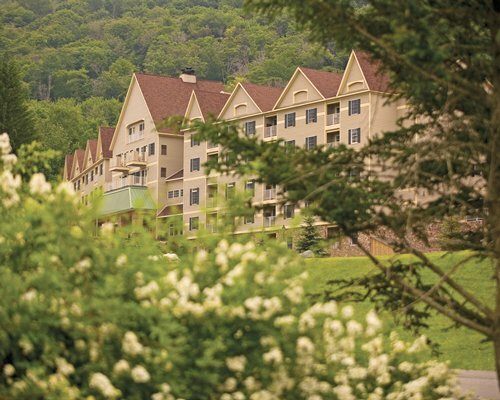 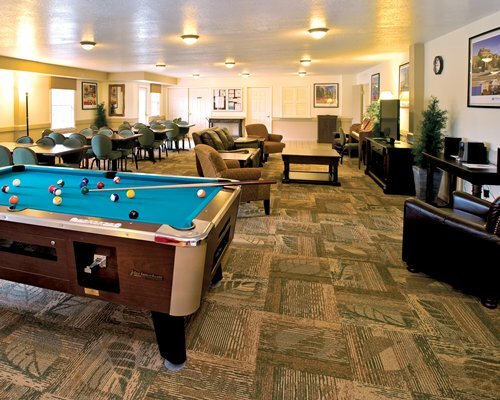 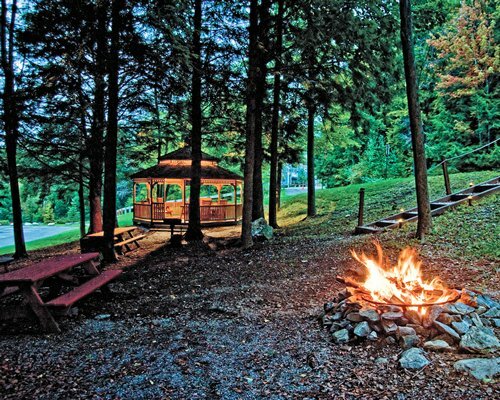 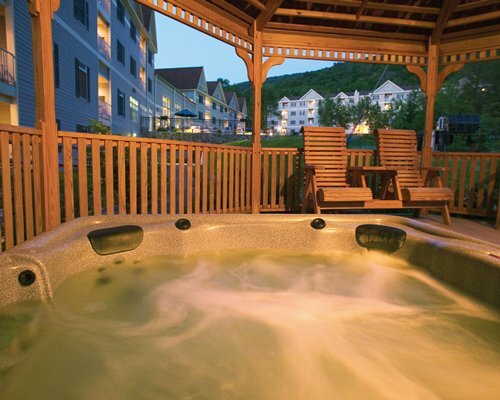 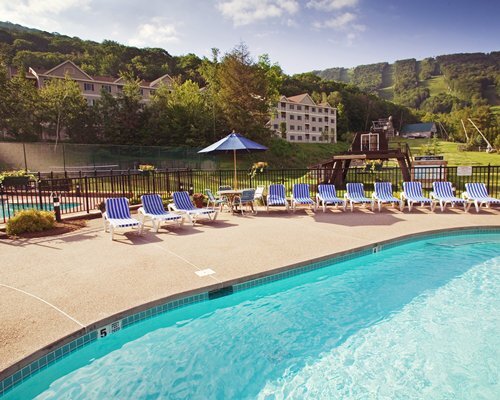 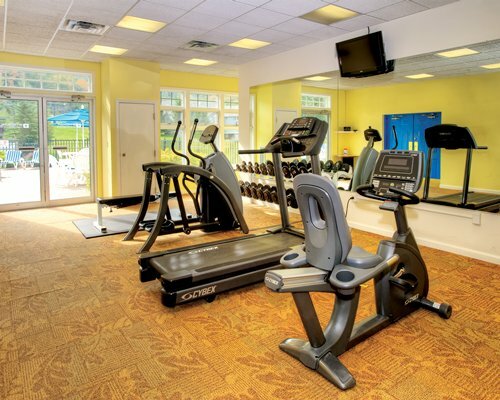 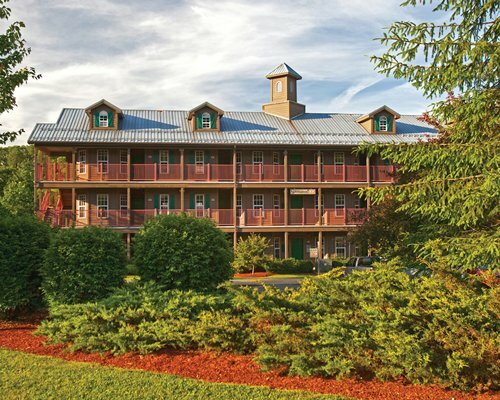 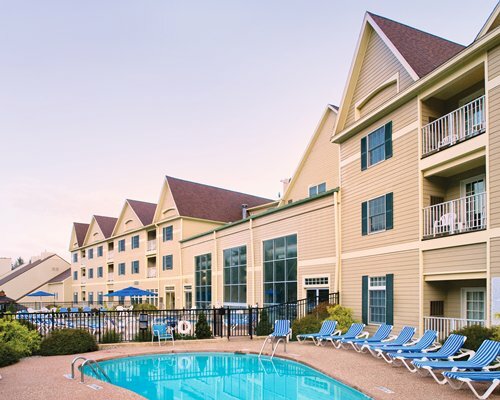 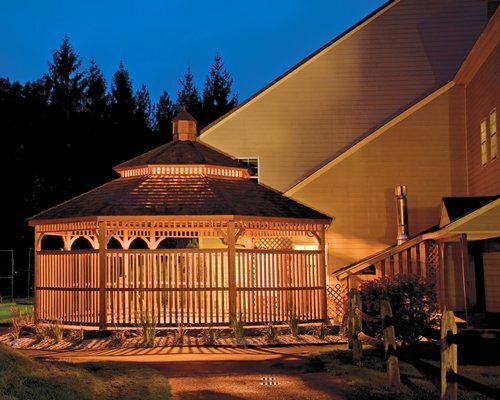 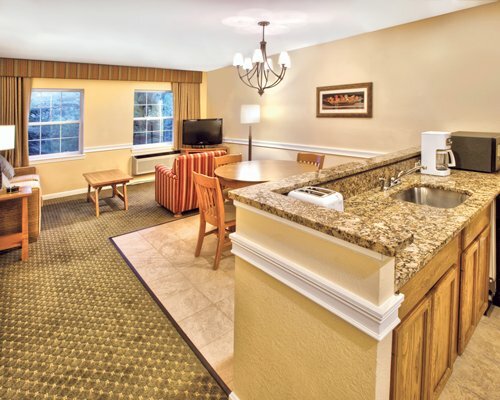 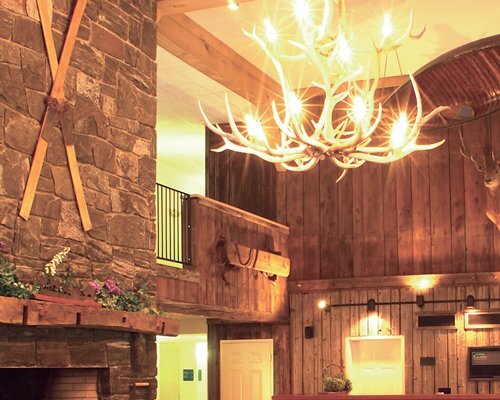 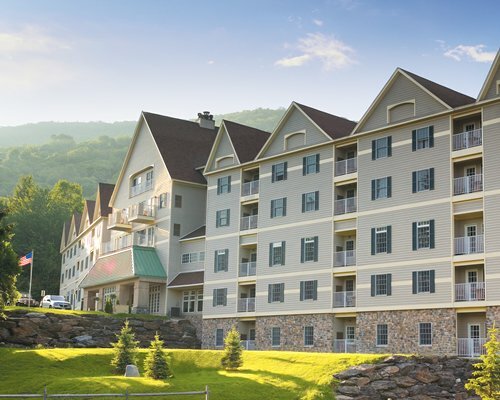 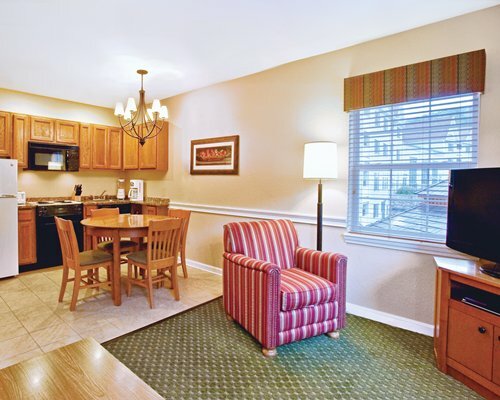 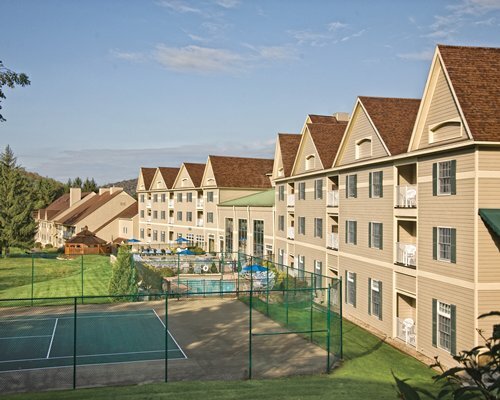 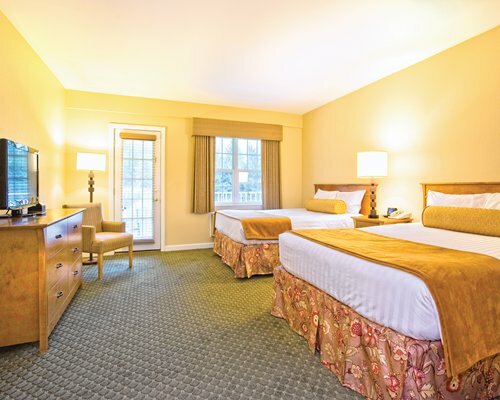 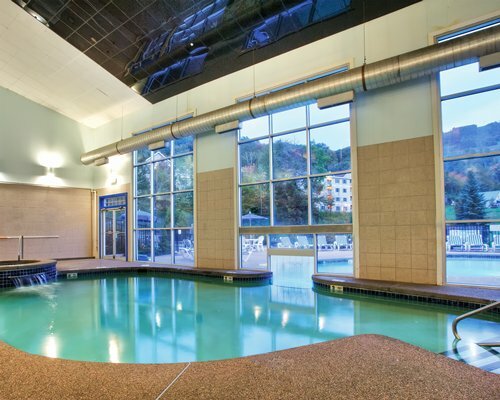 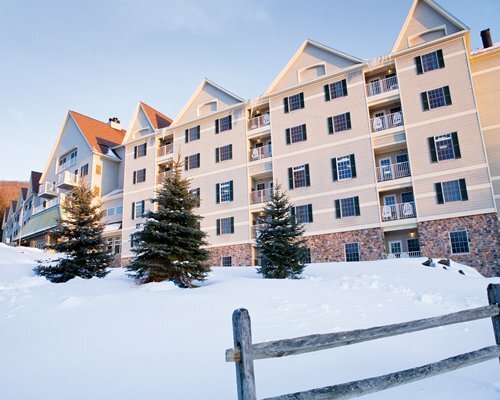 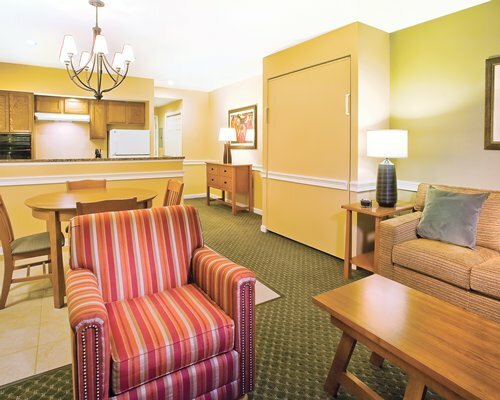 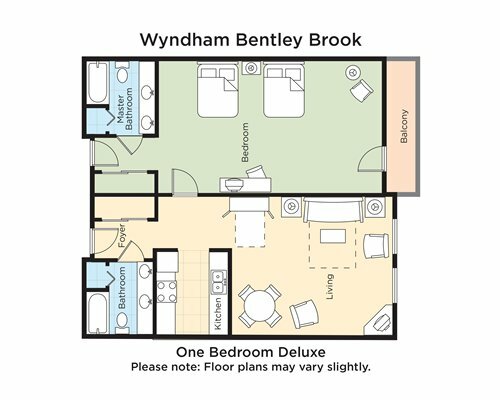 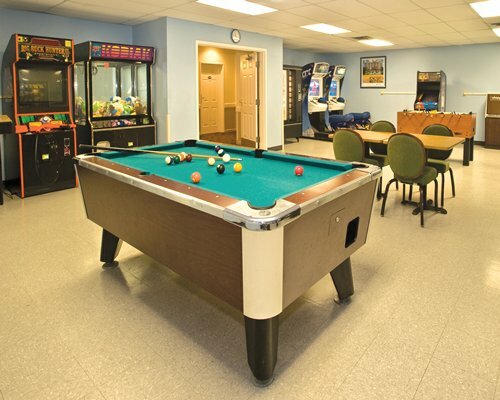 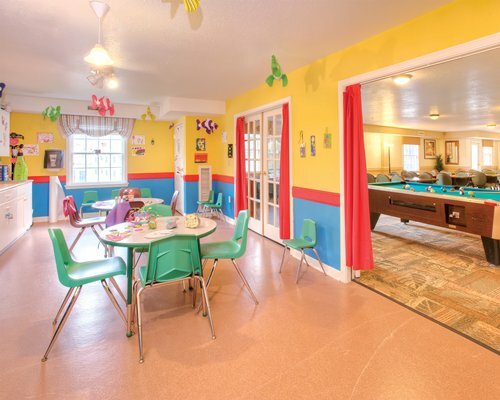 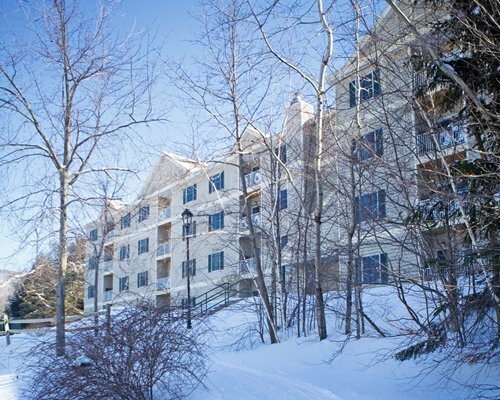 Wyndham Bentley Brook features indoor and outdoor swimming pools and hot tubs, two fitness centers, sauna, game room, three tennis courts and a picnic/BBQ area, downhill skiing, snowboarding, a movie theater, free wireless Internet, and daily activities for kids and adults. 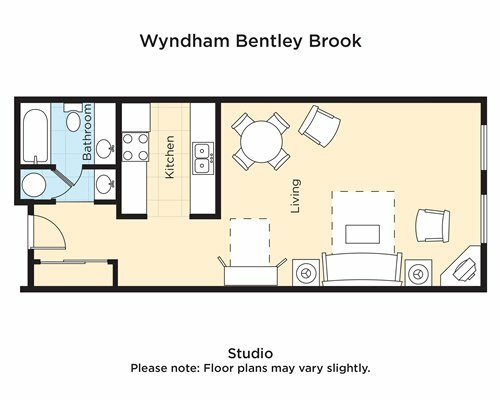 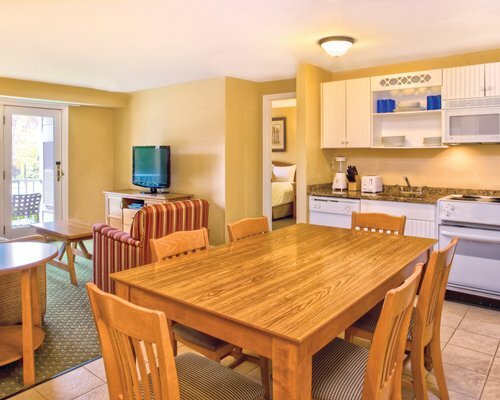 All units in the resort include full kitchen with dishwasher and microwave, TV and DVD player (DVD rentals available), and spa tub. 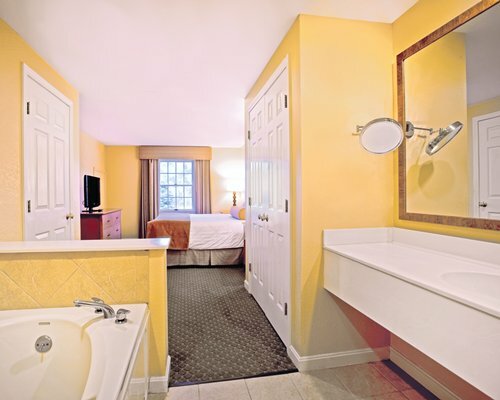 The 2 bedroom units have a jacuzzi tub. 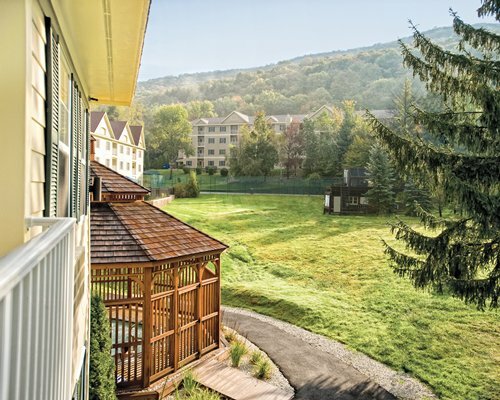 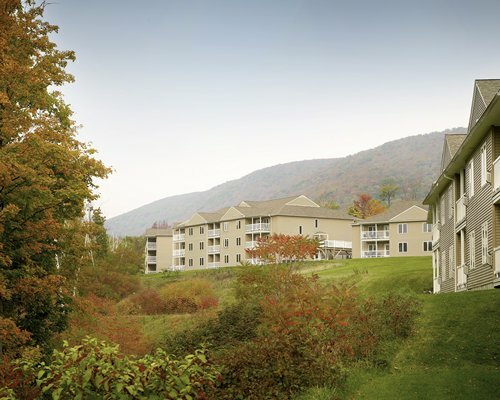 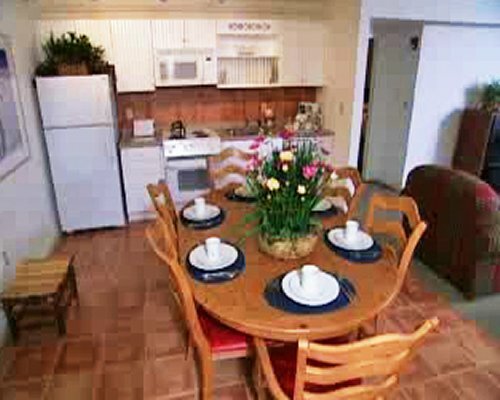 Some units offer balconies with scenic views of the surrounding mountains and landscape. 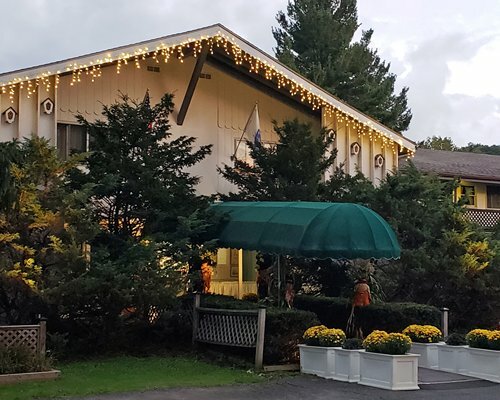 From the New York Metro Area: Take the Taconic Pkwy N. to RT 295 E. to RT 22 N. When road comes to a "T" intersection, turn right onto RT 20 E. Continue approx. 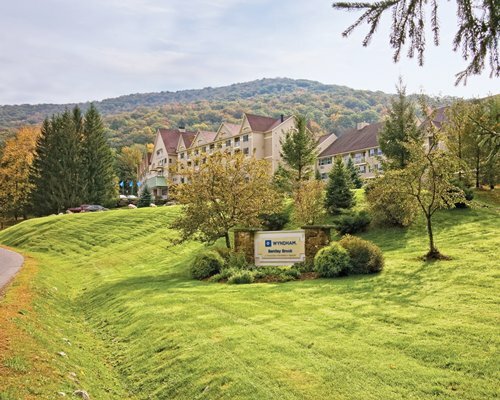 .6 miles and turn left to stay on Rt. 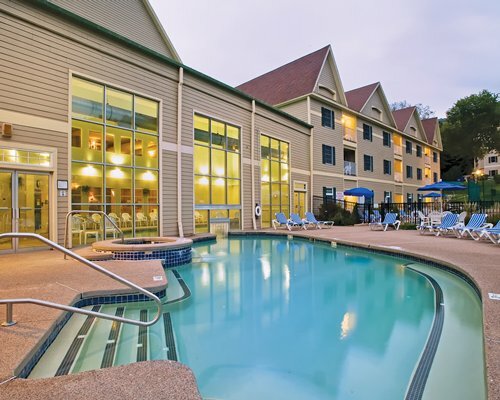 22 / Lebanon Springs. 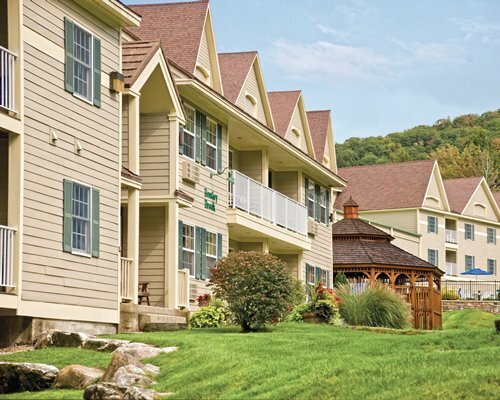 Continue north on RT 22 for 6 mi. 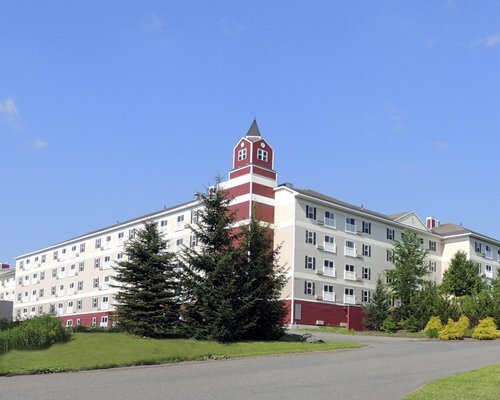 At intersection of RT 43 E. turn right. 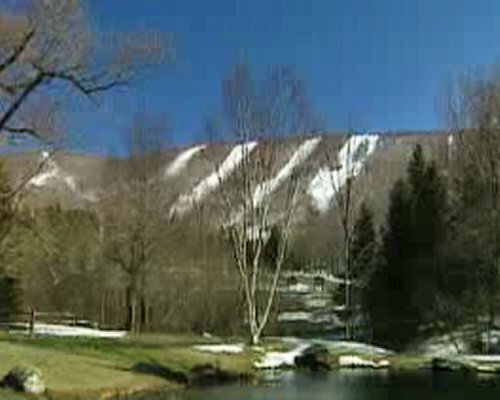 Continue approx 4 mi on RT 43 to a yellow blinking light, go right at Brodie Mountain Rd. 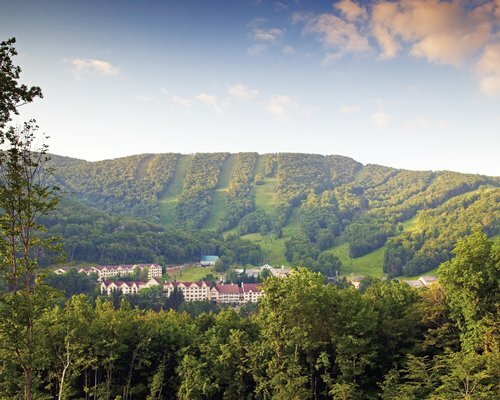 Continue .5 mi and turn right into Jiminy Peak Entrance and take first left and follow road bearing left. 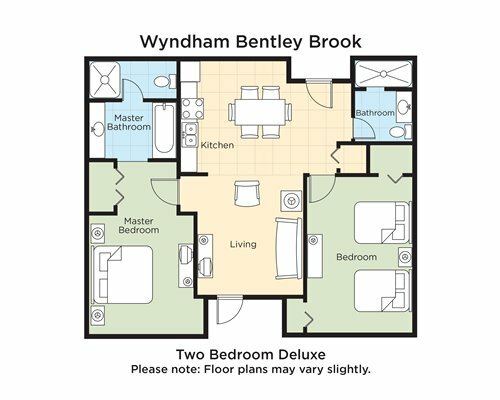 Wyndham Bentley Brook will be on the right, take 2nd right to reception. 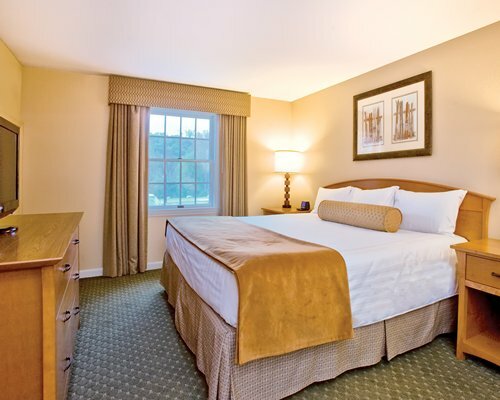 NOTE: For those taking 87 N., take exit 21A East to exit B3 to Rt. 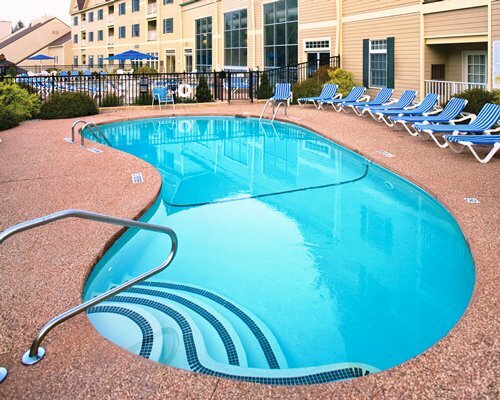 22N and then follow directions above.